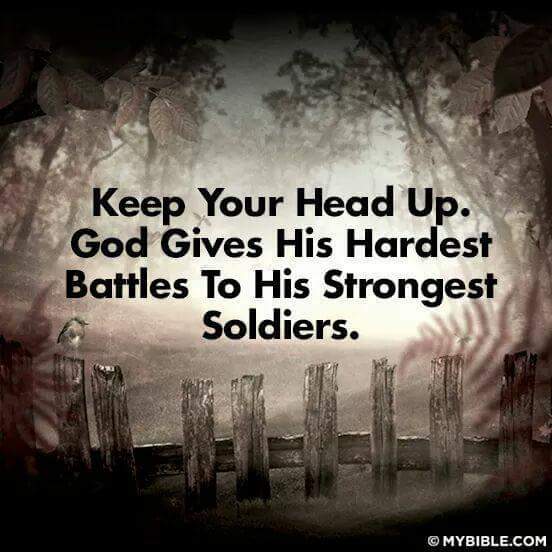 Sometimes a set back in a very strange way becomes a set UP for new blessings and opportunities to come… For ever level there’s another devil….. You are supposed to give up, you are supposed to get weak and discouraged – but you can’t – are you listening YOU CANT QUIT!!! Power down, then power UP, hit that refresh button, and KEEP GOING!!!!!!!!! You will continue to GROW through what you GO through…..
Remember,every disappointment is for a good,to them that love God. We may not see the good now,but look for it ,it’s coming,you will be the head and not the tail,you will be a lender,and not a borrower,above all,you will have peace that surpasses all understanding,just trust God. He is on the case. Who can be against me!! !